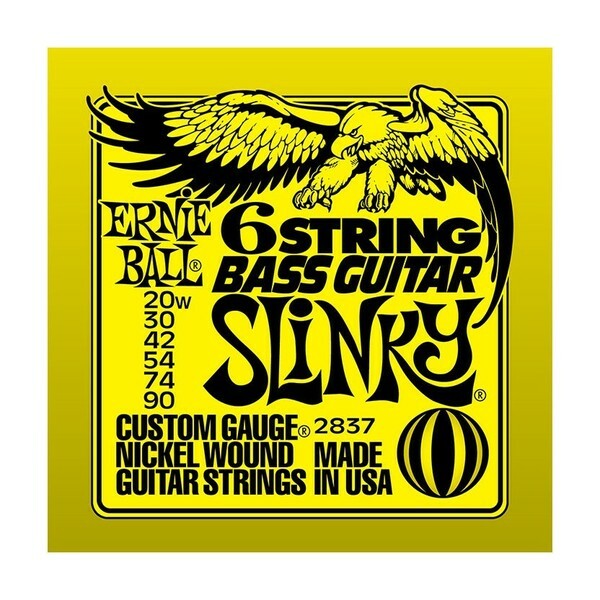 6-string Slinky Bass Guitar/Baritone Guitar w/ small ball end 29 5/8 scale .020w - .090 - Made from nickel plated steel wire wrapped around tin plated hex shaped steel core wire. These strings are pitched in the octave between standard bass and guitar strings and are suitable for a 6-string bass or a baritone guitar. By far the most popular, they produce well balanced all around good sound.